The July Power Must Change Hands Programme of MFM UK, which was held in the seventh day of the seventh month, took a different dimension. Assisting the A.G.O (Missions) Pastor Kehinde Adegbolahan, were the Regional Overseers who led the congregation in several prayer sessions. With the anointing of perfection, here are the prayers from the July PMCH programme. Every virus in my body, I command you to die in Jesus name. Holy Ghost fire, pass through my life in Jesus name. Every spirit of the tail assigned against me, I command you to die in Jesus name. Garment of the tail on my body, I command you to catch fire in Jesus name. I fire back, every arrow of the tail in my life in Jesus name. Enough is enough, spirit of the tail in my life die in Jesus name. Lord Jesus, recover for me all that I have lost in Jesus name. Miracle swallowers around me, die in Jesus name. Dark forces at5 the edge of my breakthrough, die in Jesus name. The God that enlarged the coast of Jabez, enlarge my coast by fire in Jesus name. O Lord, increase me and my family more in Jesus name. Continuous increase, overshadow me and my household by fire in Jesus name. Every power working against my increase, die in Jesus name. Every power rising against5 my blessings, die in Jesus name. Ungodly soul tie in my life, break in Jesus name. My mother/my father jump out of me in Jesus name. I jump out of my mother/my father in Jesus name. 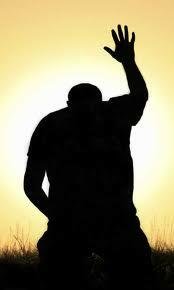 My night of mourning is over in Jesus name. My morning of joy shall manifest in Jesus name. O God arise and anoint me with the oil of joy in Jesus name. Garments of sorrow designed for me, catch fire in Jesus name. The root of infirmity in my life, I command you to die in Jesus name. Blood of Jesus, kill every witchcraft sponsored infirmity in my life in Jesus name. By the blood of Jesus, I decree t5hat I am healed in Jesus name. My father, arise and deliver me from collective failure in Jesus name. Spirit of failure attaching to me, I cut you off with the sword of fire in Jesus name. Failure, detach from me in Jesus name. 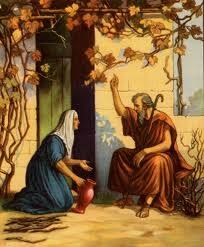 The widow of Zarephath took care of the man of God and the door of unlimited blessings was opened unto her. God is concerned about the way we treat his servants and no matter their age, they are your spiritual parents. Your pastor is a gift to your destiny, and the gift you neglect will not be a blessing to you. Have a perfect and multiple blessings filled July in Jesus name. Watch the August 2012 Power Must Change Hands Programme of MFM UK live from London at Milton Keynes Branch on Saturday, 4th August 2012.